Make yourself at home! 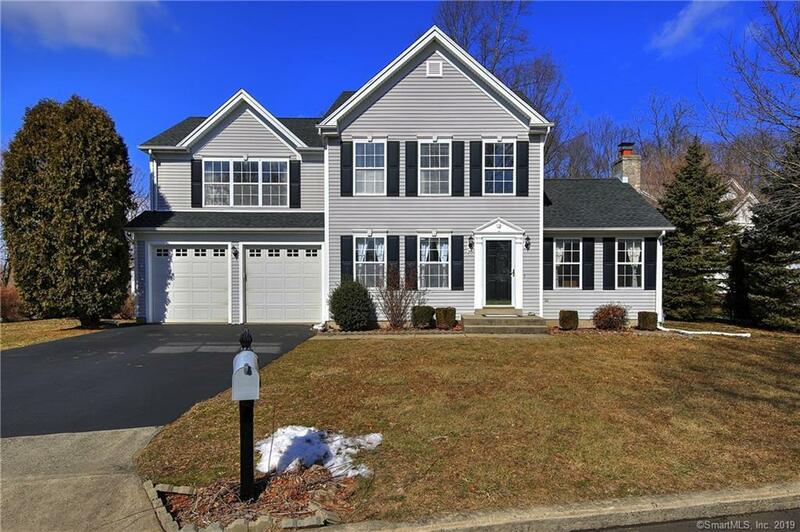 This lovely colonial is located in the very desirable Lexington Green neighborhood.This is a great home to entertain in, the spacious living room has custom masonry with a marble surround fireplace and sliders to a deck and rear yard. The separate dining room gets lots of light and is perfect for those formal affairs. The kitchen has stainless appliances, granite counters and a breakfast bar, with an eat in area with a recessed bay window. The half bath completes the first floor. There are shiny oak hardwoods throughout the first floor. The second floor has two bedrooms and a full bath, a laundry area and a HUGE master bedroom with vaulted ceilings, two walk in closets and a master bath with double sinks. The lower level is great for guests, an au pair or just to spread out, with a full bath, an office, a family room and a bonus room, that can be used as a fourth bedroom, or exercise room. Just a short ride to : the Milford Train Station, downtown restaurants and shops, many fabulous Milford beaches and all major highways., The shed and play set in the rear yard conveys with the house.